One of the best things about retirement is that it’s your time to do what you want and take life at the pace that you want. Once your family have grown up and moved out it’s your time to live in a place that 100% yours, without any input from other people. You can design it exactly the way you want and have it laid out to suit you – no one else. This is why so many people are choosing a park home. Once retired, it makes sense to downsize to a smaller place that can be more luxurious and a space just for you. Moving to a park home is the perfect option for those who want their own space, modern designs and all the features you could ever need to make your retirement as comfortable as possible. 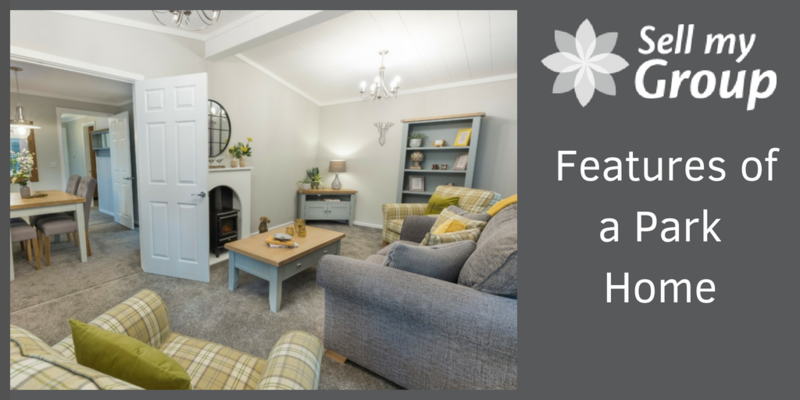 If you’re interested in what features of park homes have to offer then read on. We’ve listed some of our favourite features of park homes that will make your life easier than you ever thought. With a park home you can live entirely independently. Most people think that moving into a park home means moving into a retirement home. This isn’t the case at all. A park home is exactly the same as your old house – you are not being looked after or giving up any independence. You don’t live by anyone else’s rules, you are completely individual still. Residents of park homes live on their own but within a community of likeminded neighbours who all want to maintain their independence. There are park managers that provide help and support for the homes, but other than that you’re still very much your own person. Residents are still completely able to live their own lives. Older people sometimes feel slightly more unsafe in their homes, due to a number of reasons. This could be not being as physically able as they used to be. Unfortunately, older retired people are a more common target for burglaries, but you needn’t worry about that when living in a park home. Park home sites come with additional security features that means you can feel extra secure in your home. Most park home sites have CCTV located all over the site, or a manned gate house which means nobody unauthorised can come in or out. A lot of park home sites are gated which means residents have a remote control that they can use to open the gate but nobody else does. There are passcodes which can be provided to visitors but these are changed regularly to ensure complete safety. All of this and a community of tight-knit neighbours means park homes are some of the safest places to live in this country. While we’re on the subject, a close community is another great feature of living in a park home. Many older people can become isolated once they retire, which can impact both mental and physical health. Older people can find it harder to meet new people since they are no longer working, but this isn’t the case with a park home, another great feature of park homes. Because you are going to be surrounded by people just like you, you are bound to find new friends right on your doorstep. A lot of park home sites have community functions such as afternoon teas or day trips out. And if this isn’t enough you can always organise your own activities to do with your new friends. There are so many facilities nearby, social clubs and activities that you don’t need to worry about becoming isolated once you retire. This is one of the great features of park homes. You’ve worked hard your entire life and now’s your chance to sit back and enjoy the fruits of your labour. Now that you’re retired it’s time to enjoy some luxury in life – you’ve earned it! Park homes are all designed with luxury in mind meaning you can enjoy the finer things in life without breaking the bank. They’re designed with people like you in mind so they’re accessible and spacious without compromising on style. Residents can choose their park home down to the smallest detail so your home will be designed exactly to your needs. Or if you’re not worried about having a bespoke home you can always choose from one of the already built houses which have been made with love and care. 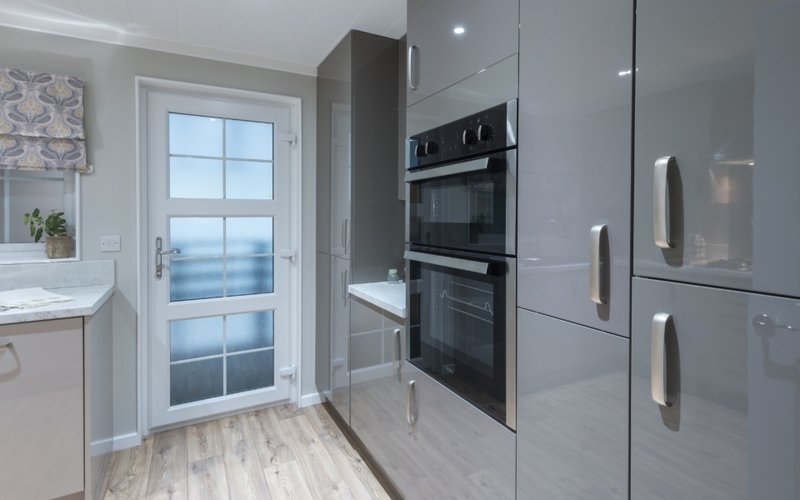 There is a dedicated design team on board at most manufacturers, meaning you can have access to the best advice and knowledge about what to do with your new home, another feature of park homes. Now that you’re retired, you haven’t got an income every month to rely on. Hopefully you will have planned your retirement well and have a good pension to fall back on. However, you don’t want to be spending all of your pension on just being able to live comfortably. That is why park homes are such a good option for retired people. They are completely affordable and everyone knows how much nicer something is when it’s within our price range. A lot of park homes offer a home exchange scheme which means you can swap your current house for a lovely park home and the difference is yours to keep. This means that you can start your retired life in style with plenty of cash to do the things you’ve always wanted to do. It’s the perfect option for those who want to go on lots of holidays, or just spoil their loved ones. These homes are also designed to be energy efficient which means you’ll be spending less on bills and more on yourself. This isn’t it when it comes to unique services and features these homes offer. There’s also spacious surroundings, private gardens and driveways, wonderful scenic views and hundreds of local attractions. These sites are located in the best places all over the country so are perfect for those who want to get out and explore. If you’re retired or thinking about it, then a park home is definitely an option to consider. With all of these amazing features of park homes, who wouldn’t want to live here?